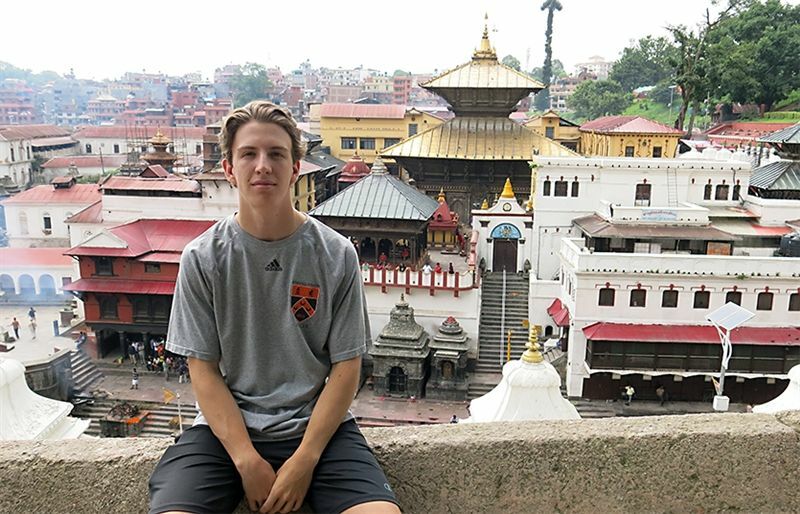 In June, I travelled to Nepal to study microfinance. I stayed with a host family in Bhaktapur, an hour from Kathmandu, where in addition to four family members, there were ten elementary school students living in the house. I spent time bonding with the students by helping them with their English and learning some Nepali as well. As for my studies, I worked with an organization called Movement on Innovative Agriculture Cooperative Ltd. (MIACO). I spent time working with the head of the Bhaktapur office, who taught me about MIACO’s strong focus on community development through agriculture and education. I visited farms that worked with MIACO to see how the cooperative had improved local agriculture and then visited a school to speak with students and answer their questions about the United States. Living in a culture different from my own was an unforgettable experience. I’ve gained a new appreciation for my life and respect for those who live more simply. Thank you to the Cullman Family for this opportunity. Thank you, Julian, for sharing your experience and stay tuned for more Cullman Scholarship news.